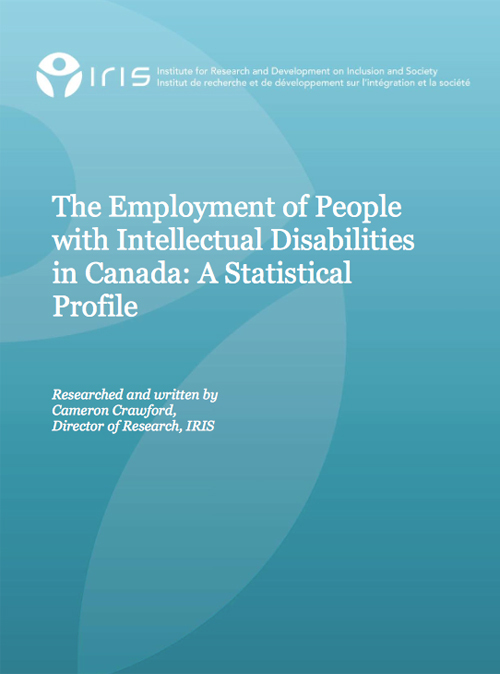 This report looks at the employment situation of people with intellectual disabilities in Canada. It is based on the Participation and Activity Survey of 2006 (PALS), which has been Statistics Canada’s ‘flagship’ survey on disability. The report focuses on people who self-identified on PALS or who were identified by proxy as being told by a doctor, psychologist or other health professional that they have a developmental disability or disorder. The report provides comparisons against people with other disabilities (i.e. who have a disability, but answered “no” to the question on developmental disability). Where feasible, comparisons are also drawn with people without disabilities. It provides general demographic information, as well as a brief exploration of functional limitations and needs for disability-related supports that people with intellectual disabilities may be experiencing.